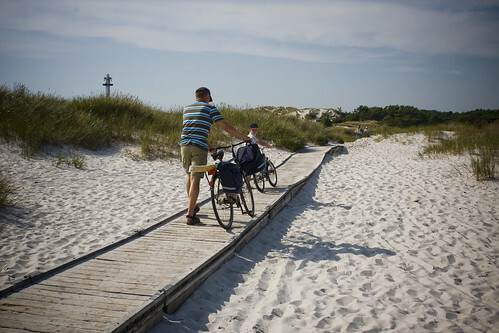 It's not only the beaches of Copenhagen that feature the bicycle. 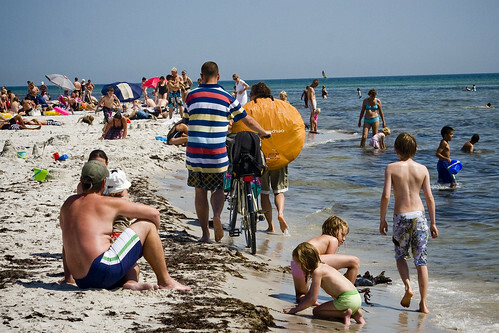 On the island of Bornholm they play an important role, right down to the water's edge. Avoiding sand castles in your only challenge. 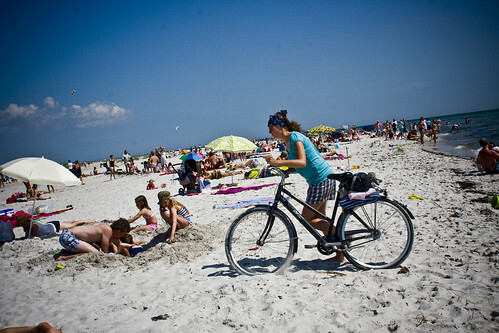 She opted to head from the water's edge up to the hard-packed sand when she reached a busy stretch of waterfront. Father and son heading home through the sand dunes. 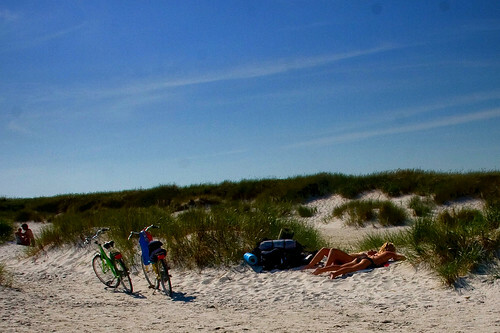 Bikes + Beach + Bikinis = Summer. LIVING IT UP IN LONDON TOWN!